In Germany, Easter, besides Christmas is the most important holiday. On this sacred day all Christians celebrate the resurrection of Christ from the grave. This is the greatest and most joyful event of the year for the believers, when the tragedy of Jesus' crucifixion on Good Friday was healed by the message of the angel at the empty tomb "He is not here. He is risen!" There is a belief that the name "Easter" originates from an ancient Anglo-Saxon goddess of the dawn named "Eastre", "Eostre", or "Ostara". In German households there is Spring cleaning and decorations are brought into the home, budding twigs, crocuses and daffodils, willow and birch, the first shoots of grasses, or wheat sprouts. Easter trees, small trees or branches, decorated with eggs, have long been a part of German Easter celebration. An inseparable part of the holiday is the gorgeous Easter meal taken after a long period of severe fasting. One of the best sites on the net most fully uncovering the topic of German Easter is Ostern in Deutschland ( in German). The site gives exhaustive info on all aspects of Easter, starting from its religious meaning, attributes like Easter hare, Easter eggs, Easter lamb, Easter water and candles, and to Easter recipes and games. The site is totally in German, but its English version is on the way to be available soon. For Easter many Germans relish cookies and chocolate candies. As in the USA a part of Easter traditions in Germany, egg hunt game is very popular among the Germans. Another game that is enjoyed by kids is Chocolate kiss. To give a warm welcome to the spring season, there is a tradition of burning the old Christmas trees in a specially chosen venue. Kids light huge bonfires on the Easter eve. Green colored Easter eggs are used on the Maundy Holy Thursday. In the Oberammergau town of Germany, passion play is held which is based on the life of Jesus Christ. It's a play in which about 1200 villagers participate and the play is a real long one, extending up to six hours. Before the start of Lent season, a special carnival called Fasching is held. Its major attractions include a parade in which people showoff their masks. German people prepare a special recipe called Cruller, which is a kind of thick doughnut. In Germany, Easter commences on the Good Friday with the draping of cross. It is on this day, people eat fish as a part of Easter feast. In the menu of special Easter lunch on the Easter Sunday, colored Easter eggs and lamb shaped cake acquire prominent positions. Below are many great links to other websites that have info about a German Easter! A pageful of Easter-time recipes concerning all those traditionally hard-boiled eggs. Traditional Easter games with eggs.  Travels Through Germany, P.O. Box 25043, Philadelphia, Pa 19147, Copyright © Travels Through The World All rights reserved.